Are you following the correct etiquette when attending or arranging meetings? Ensure a professional approach with these 10 tips. Whether it’s formal or informal, poor manners during a business meeting can make you look unprofessional or even contribute to you losing business. Here are some tips on how to give the right impression and make your meeting a valuable use of your time, whether you’re attending or organising a meeting. 1. Prepare. If you’re the one arranging the meeting, set an agenda and send this out in advance. If there are actions for attendees, make this clear too. If you’re attending, make sure you read the agenda and prepare thoroughly so that both you and the other attendees get the most out of the meeting. 2. Dress appropriately. If you’re going to an appointment with someone you’ve never met before, your appearance will help form their first impression of you, so make sure you’re well-dressed. Whether you wear a suit or less formal attire will depend on the type of meeting you’re attending, so use your judgement. Whatever you choose, make sure you look smart and like you’ve made an effort. 3. Be punctual. There’s nothing worse than turning up late and interrupting the meeting or having to delay starting a meeting because one attendee has poor time keeping. Give yourself plenty of time if you need to travel and if you’re going to be late despite your best efforts, let the organiser know as soon as possible. If you’re the organiser, it’s doubly important that you’re there before others to check the room is arranged the way you requested and to set up any equipment you need. 4. Make introductions. If the meeting is with people who haven’t met, it’s polite to make sure everyone knows each other’s names and why they’ve been brought together. This could involve a brief introduction round the table or if this isn’t suggested by the organiser, perhaps introduce yourself before you start talking, which will encourage others to do the same. 5. Schedule in breaks if you know it’s going to be a long meeting. Break between agenda items where there is a natural pause or change of topic. If it’s an informal meeting, you shouldn’t be too rigid about when these are; the group may naturally want a break earlier or later than you scheduled. However, if it’s a formal conference or if you have lunch arriving for a set time for example, it may be best to stick to set break times. 6. Put your phone away or don’t take it with you. Even taking it and putting it on silent can be distracting if you’re constantly checking it for updates. There may be some instances where you really have to take your phone, for example if you’re expecting an important phone call. In this case, tell the organiser and if you get the call during the meeting, leave the room to avoid distracting everyone else. 7. Have one note taker. Assign one person take the minutes or notes, to allow everyone else to participate properly and give their full attention to the meeting. You should be able to ask the person taking the notes to write down something if you think it is important and want it recorded. 8. Don’t interrupt. Wait until the person has finished talking before you have your piece. There may be occasions where you have to interrupt, for example if you’re chairing the meeting and one person is dominating the discussion or if a discussion turns into an argument. However, continue to be polite and calm. 9. Don’t let the meeting drag. Don't waste time unnecessarily by prolonging a meeting – your colleagues won’t thank you for it, plus another group could be waiting to use the room. If you’re the chair or organiser, work out how long you can allocated each agenda item to help make sure the meeting doesn’t over-run. Keep discussions focused on the agenda items and end the meeting with the actions agreed so that everyone recognises the value of the meeting. 10. Clean up after yourselves. 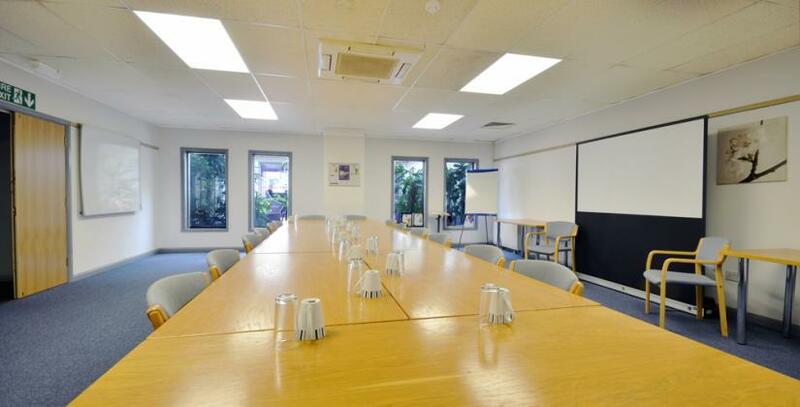 Whether you’ve hired a room for your meeting or it’s one of your own, you should aim to leave the room as you found it.